Create cool and whacky hairstyles with Craft Dough Hair Salon. 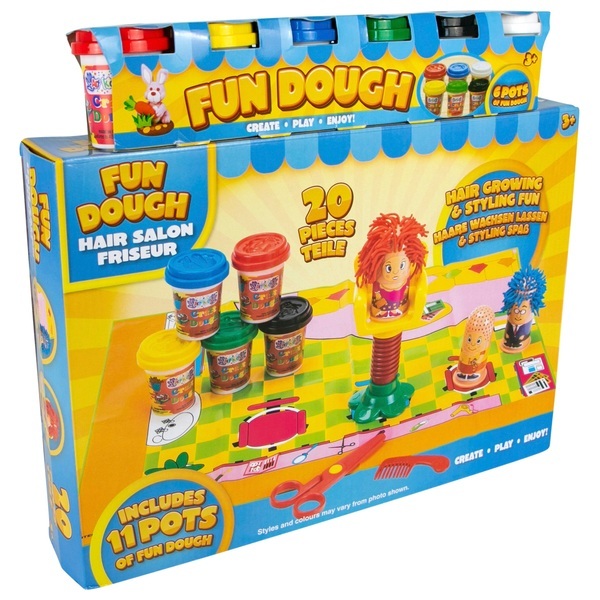 Dough fans will love giving colourful hair styles to their figures. The hair salon play mat makes it feel like you are in a real salon with your dough clients.